Handmade paper making and traditional bread making are only part of the elements of the intangible cultural heritage, presented by this unique exhibition provided by the Slovenian Ethnographic Museum. The mobile exposition will be held in Sofia from 20 to 27 November. It will be presented in the Sofia City Garden in front of the National Theater “Ivan Vazov”. It contains more than 50 photographs that documented different customs, knowledge and skills, ritual objects, artifacts, and social practices. 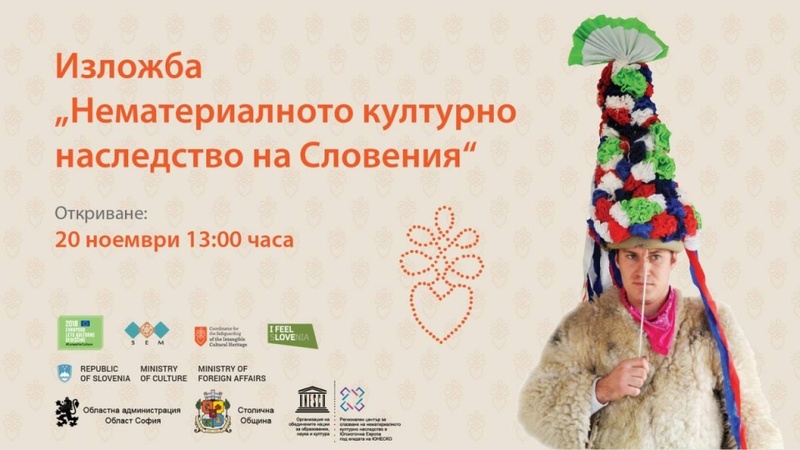 Slovenia ratified the UNESCO Convention on the Safeguarding of the Intangible Cultural Heritage in 2008. The main institution in charge for safeguarding the intangible cultural heritage in the country is the Slovenian Ethnographic Museum, which has been the National Coordinator since 2011. From 2008 the Ministry of Culture is in charge of the preparation of a National Register of the Intangible Cultural Heritage. By the end of 2017, it has 61 elements, 10 of which were declared as Intangible Cultural Heritage of national importance and 2 elements were listed on the UNESCO Representative List of the Intangible Cultural Heritage of Humanity. The exhibition is organized by the District Administration region Sofia with the support of Regional Center – Sofia, UNESCO and Sofia Municipality.